Wedding Taxi Photo Booth Hire - It's the ultimate in guest entertainment. 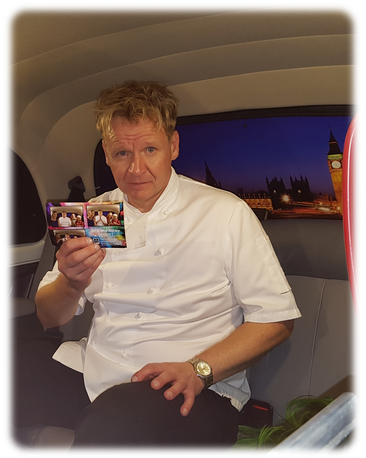 It's a photo booth in a London Taxi! We pull up, we plug in, you just grab a prop and strike that pose. Moments later, you have an instant fun memory in the form of a 6X4 photo. 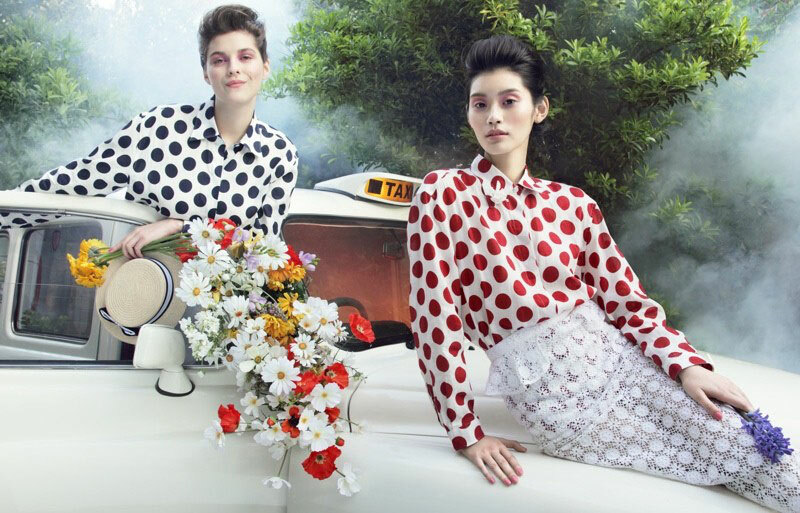 Perfect if you're limited on space in the venue for traditional photo booths, or just want to go one better. With a taxi photo booth, there is no noisy booth construction whilst you enjoy your wedding breakfast. You also won't be hit with paying for the booth to be set up before the event, just sitting there and not being used. 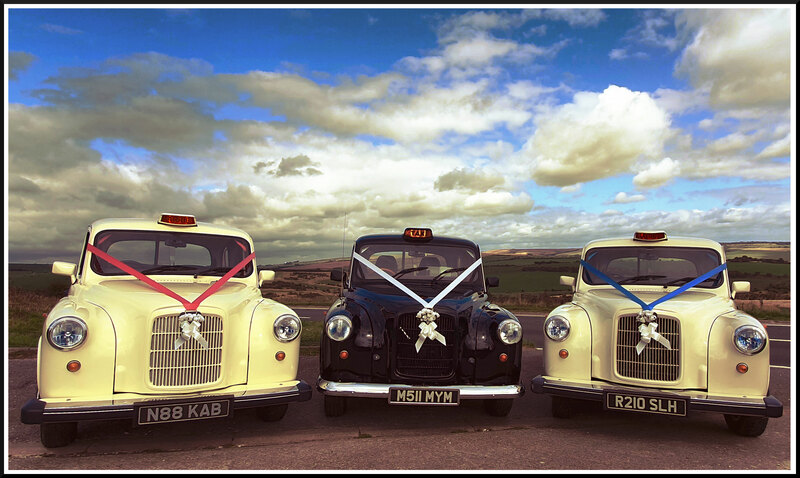 You simply enjoy your day and when you're ready, your funky wedding photo booth taxi is outside waiting for you. All In One Venue & No Wedding Car? 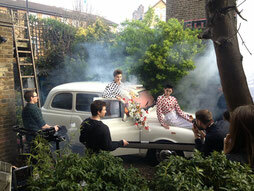 With combined wedding and reception venues becoming more popular, the wedding car is just surplus to requirements. It's a great way to save money, but a little sad that many wedding albums are now missing those classic wedding car shots. Well unlike with a traditional wedding photo booth, you can grab those wedding car shots with our taxi photo booth. 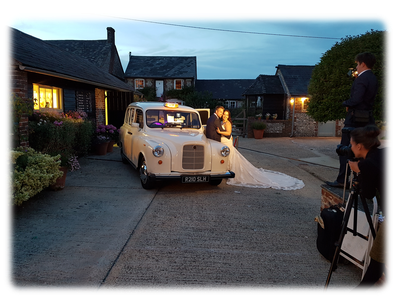 After all, when it's not entertaining wedding guests, this white London taxi is our most popular wedding car. Just let us know when you book, that you would like to get some traditional wedding car photos with the vehicle. We will then bring the vehicle, minus the window blinds and dressed in full wedding car ribbons and flowers. Once you are happy you have all the shots you need, the photo booth fun begins. 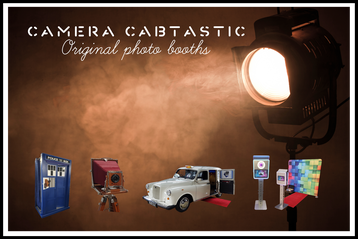 We can provide taxi photo booth hire in Surrey, Sussex, South London & West Kent. 3 Hours Taxi Photo Booth Hire – Prices start at just £545. Combined wedding car and wedding photo booth bookings available. Its recommended clients check with the reception venue that, the following can be made available. A parking space for the vehicle, which is not on a public highway, road or path. This is both for the safety of your guests and to comply with the terms of our insurance. Access to a standard UK plug socket, within 20-30 meters of where the photo booth taxi is to be parked.